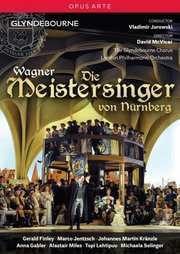 Audiences around the world have always found Die Meistersinger to be a life-enhancing celebration of wisdom, art and song. So it proves in David McVicar's production - the first at Glyndebourne - which is updated to the early 19th century of Wagner's childhood. At the centre of a true ensemble cast is Gerald Finlay, a 'gleamingly sung, 'eminently believable' Sachs (The Independent on Sunday), supported by the dynamic conducting of Vladimir Jurowski which, like McVicar's production, uses Glyndebourne's special intimacy to bring sharp focus to bear on the subtlety of Wagner's musical and dramatic counterpoint.